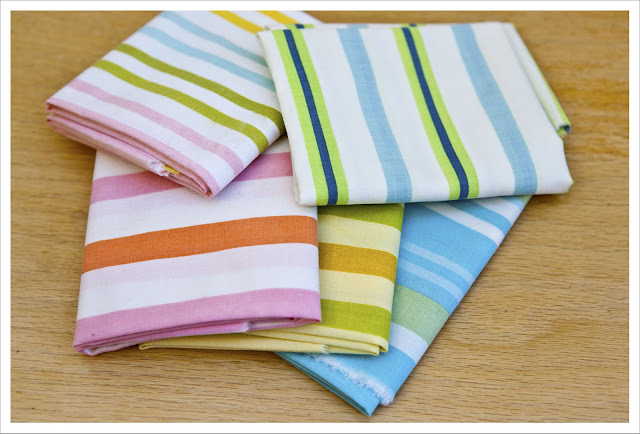 I am taking a leaf out of Rita from Red Pepper quilt and ordered a bunch of striped vintage linen fat quarters. 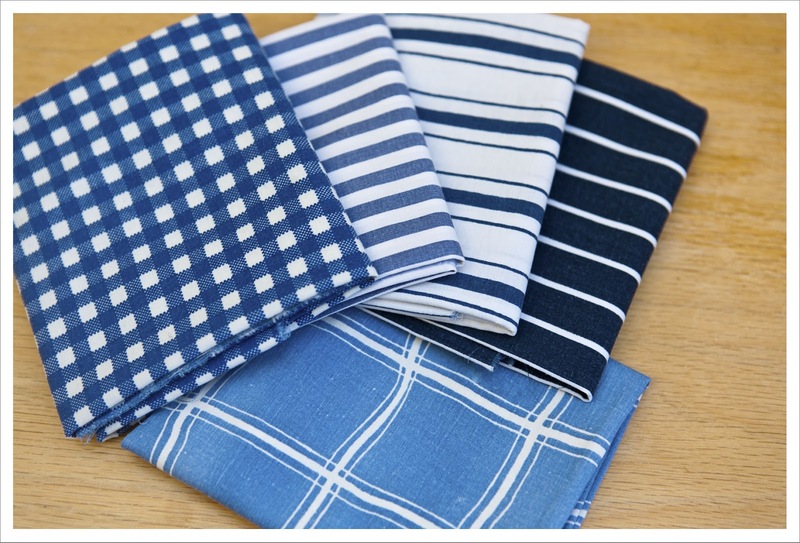 I have long been smitten with these fabrics and have been keen to get my hands on them. Oh and they are so so soft. I rather like the idea that these fabrics have been bed linens in their former life and will in actual fact be made into a quilt that might end up on a bed again - sort of full circle. Some Blues and some multis. These were bought at thoughandfound and shabby sheets. Both are Etsy shops. Love those stripes! So lovely to think they will be returning to bed tops soon. 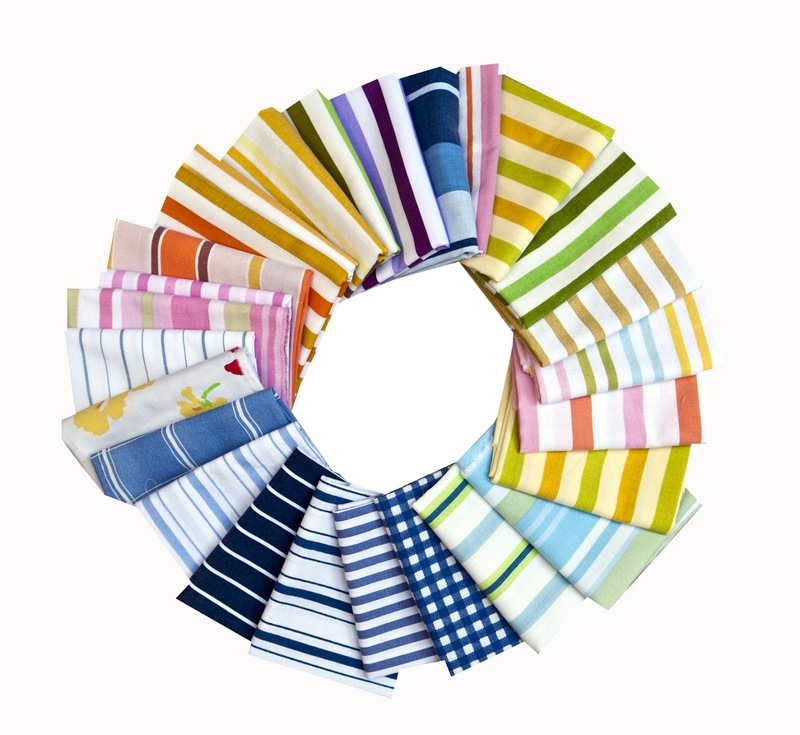 love the stripes, fresh and bright.